Nintendo recently announced the new “Nintendo Switch Holiday Experience”, which will mean that some of the most popular games of the holiday season will be available to play at select shopping centers throughout the US. This exciting venture will begin on November 10th and will feature a line-up of family friendly games including Super Smash Bros. Ultimate, Super Mario Party, Mario Kart 8 Deluxe, and Just Dance 2019, among other hot games of the season, meaning that there will be something for all types of players. 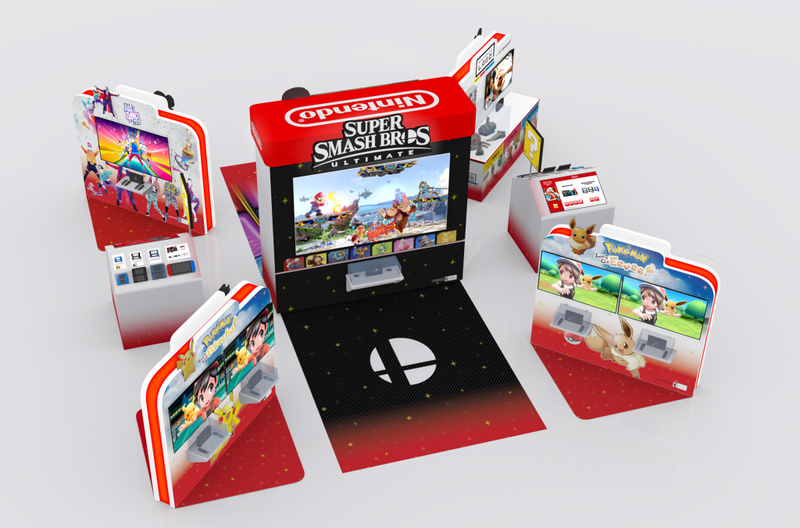 Fans of all ages are invited to stop by and experience just what Nintendo has to offer, including the opportunity to try out a Nintendo Labo: Vehicle Kit and interact with a Fortnite-themed photo experience. There will even be live demos of Overcooked 2 for fans to enjoy. Admission to the experience is free of charge and everyone is welcome to enjoy it. Visitors should note that the Nintendo Switch Holiday Experience at the Memorial City Mall in Houston will start on November 11th. From November 16th, Pokémon fans will also have the opportunity to play the new Pokémon: Let’s Go, Pikachu! and Pokémon: Let’s Go, Eevee! games for the Nintendo Switch system, using the new Poké Ball Plus accessory, which looks and feels just like a real Poké Ball. Another exciting element of the Nintendo Switch Holiday Experience means that fans can get a taste of the new Super Smash Bros. Ultimate game and have the opportunity to try out their favorite fighters before the game launches on December 7th! The Nintendo Switch Holiday Experience will be open to the public from 4pm to 9pm, Monday through Thursday and 3pm to 9pm on Friday. Weekend times are set to be 10am to 9pm on Saturday and 11am to 6pm on Sunday. On top of all of the playable games, visitors who are My Nintendo members can check in with their My Nintendo QR Code pattern to receive a holiday gift (while supplies last). For more information about the My Nintendo rewards program and how to check in, visit this right here. For more information about the Nintendo Switch Holiday Experience, visit this page right here.